Project is still on very early stages, but it is playable for anyone who would like to give it a try. Most of my ideas follows JamesTown (vertical in wide-screen, two types of guns: spread and beam, no power ups) and Raiden 2 (overall aesthetics). 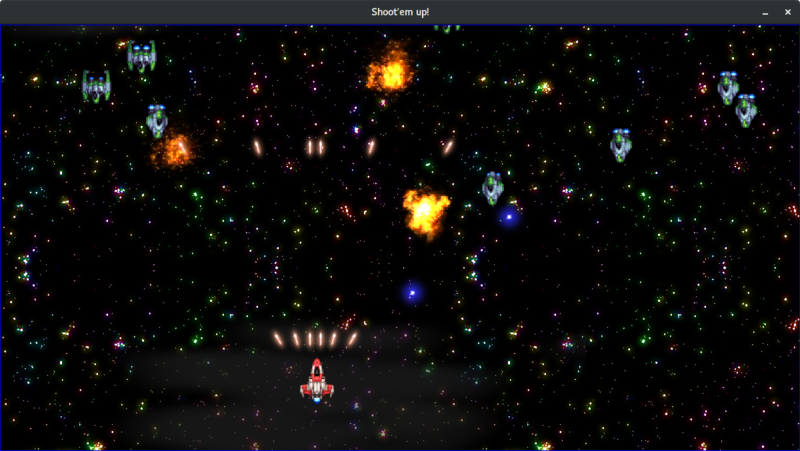 Use space to shoot and arrow keys to move around.